Buy Dakine Harnesses & Boardbags Online - Kitemana! 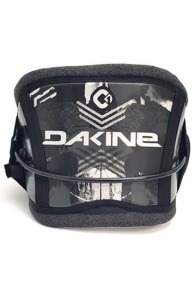 Dakine is an awesome board brand which makes very cool accessories for the kitesurfer. 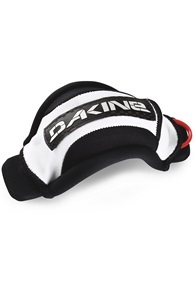 For years Dakine has been making top-quality accessories. 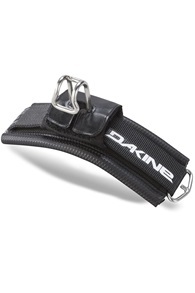 Harnesses, vests and straps, Dakine has a wide variety of accessories in their collection. 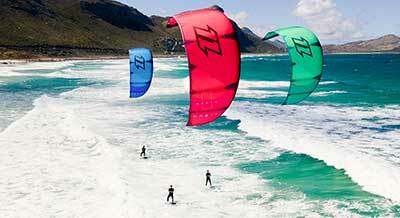 Although they make very nice stuff for the kitesurfing scene, the origin of the brand goes back a lot further. In fact, kite surfing wasn't even officially invented at that time. Dakine made his debut in Maui's North Coast in 1979. Rob Kaplan was first a surfer, but he was also a very handy man who liked to build things. People noticed he made beautiful surf accessories and the news spread fast. Before he knew it people started to contact him with their broken gear - mostly surf leashes. After having repaired enough leashes, he started a new line with bombproof materials which were stronger than ever! In 1980 Dakine introduced the first adjustable foot straps for windsurfers, in 1982 a waist harness and a whole series of travel bags. Soon after waist harness, they invented the seat harness in 1983, Dakine was on fire! The progress in the designs of Dakine allowed the windsurfers to sail faster, jump higher and go through tougher conditions than ever before. 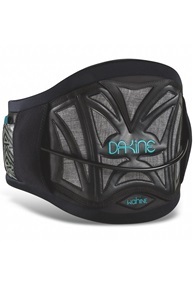 This has ultimately given Dakine a very reliable status for the extreme athletes. Nowadays Dakine is still trying to look at the sport in a certain way with the same ingenuity, integrity, passion, and craftsmanship which Rob has put into that very first surf leash. Dakine is responsible for hundreds of product which allowed snowboarders, surfers, kiteboarders, skiers, windsurfers and mountain bikers to have more action days on the mountain and in the water. The approach has never changed over the years. Dakine still makes gear which they proudly give to friends who like to stay on the mountain and in the water, just like us. Dakine makes very stylish kitesurf harnesses. The most popular model is the Dakine Fusion. This seat harness has wider straps for extra comfort between the legs. The Fusion has a nice finishing touch and feels very comfortable thanks to the good fit. Definitely recommended for the novice kitesurfer or for kiters who quickly suffer from lower back pain. This year, the Dakine Fusion got a harder shell which offers an improved support while kitesurfing kiting. 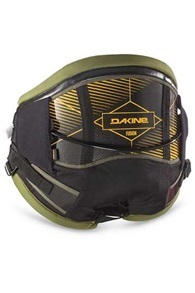 Besides their seat harnesses, Dakine also manufactures good waist harnesses for kitesurfing. For example the Renegade, a very comfortable harness with a semi-hard shell which offers a solid support. 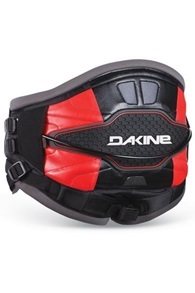 Another popular Dakine harness is the C-1. 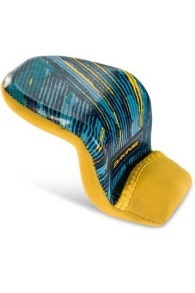 This has a hard shell just like the Ride Engine trapeze or the Mystic Majestic X. You can ride the Dakine C-1 with two different types of spreader bars. 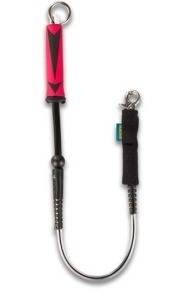 The standard hook is perfect for freestyle and freeride kiters who want to jump and possibly unhook. 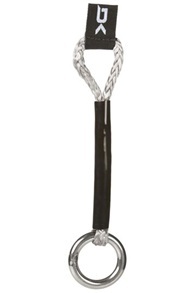 The other Maniac spreaderbar is designed for wave riders. This spreaderbar slides along with the kite from left to right. This keeps the harness in place and the pressure is evenly distributed over the harness. As mentioned above, Dakine started in the 80's with surfboard leashes and foot straps for windsurfing. 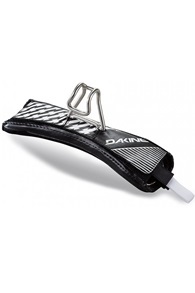 With all these years of experience, Dakine also made foot straps for a kiteboard. 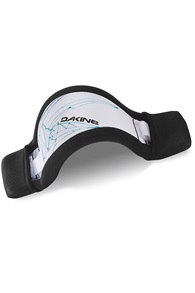 The Dakine foot straps are perfect for surfing and feel very comfortable. They have a lightweight construction so your board remains as light as possible. 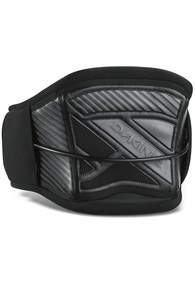 Dakine has several types of footstraps available for a kiteboard. 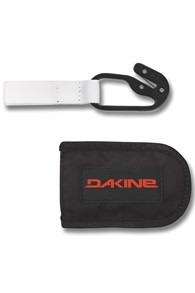 Want to know more about Dakine footstraps? Call or email us. 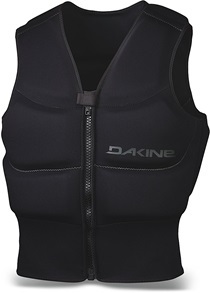 Dakine also knows how to make protection vests. They make beautiful impact resistant vests who absorbs a crash after a hard wipeout. This prevents any possible bruised ribs after a big kiteloop. 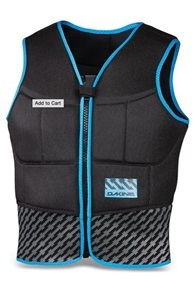 We sell Dakine impact vests for men and women. 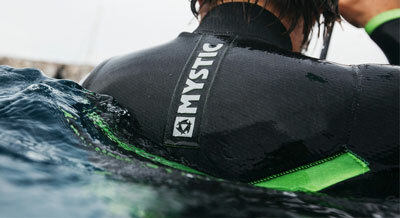 These impact vests are designed to wear while kitesurfing. This means your harness fits neatly on top of it. 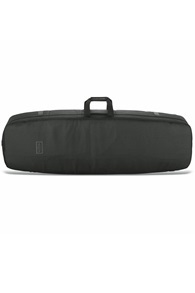 The Dakine boardbags are very sturdy and protect your kite gear well. The bags have a thick padding and strong seams, build to last! Thanks to Dakine their experiences in the field of backpacks, they know exactly what you need to make a strong and durable bag. 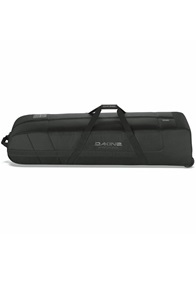 Popular models from the Dakine boardbags are the Club Wagon and the Outlaw. 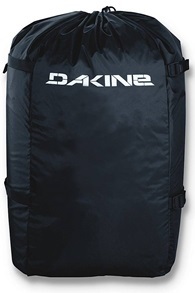 Dakine also makes compression bags to pack your kite gear really snug. Do you have questions about a Dakine product or do you want to know more about Dakine? Check the products on our website or contact us.